The Power of Prosperity Kabbalah Charm. Product Title: The Power of Prosperity Kabbalah Charm. The Power of Prosperity Kabbalah Charm. Made of pure .925 Silver with a diamond-like glass. Comes with a delicate silver chain. 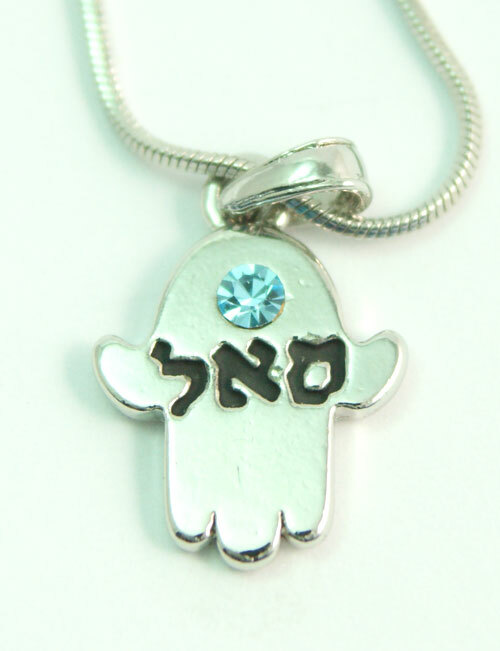 The Pendant holds one of the 72 Kabbalistic names of God - SAL - Samech Alef Lamed - The power of prosperity. Packaged Carefully with Care. Try our great gift wrap and gift message services. This Jewelry is made in Israel and Shipped with love from Israel. * Express your empathy to the IDF and the Zionist state by wearing this necklace. * Pendant made of pure Stainless Steel. * Pendant Measurements: 48 X 26 mm. * Packaged Carefully with Care. Try our great gift wrap and gift message services. * Jewelry made in Israel and Shipped from Israel.